Anonymous, 10 Dec 2014Seems that padfone s battery endurance rating is higher than xiaomi mi 3 and redmi note even t... morePlease don't believe the hype. The battery capacity is similar to HTC One(M7) and Galaxy S3. The rating itself is only performed in controlled condition, so it will not be the same on normal usage. The phone may stand by longer on idle, but not when the phone is used continuously. Anyway, install a 3rd party power saver apps will extend the battery life much longer. Seems that padfone s battery endurance rating is higher than xiaomi mi 3 and redmi note even though xiami battery capacity is bigger than padfone s. Any1 can verify this? The PadFone S actually is considered very good compare to the flagship phone in term of price. This phone is not a Nexus killer. It is marketed as a high end flag ship. 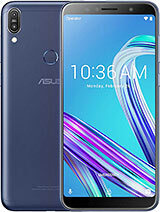 For this price, no complain on the feature, but just worry of the phone quality, as previous experience with ASUS Fonepad, the pad breakdown twice. But after repaired, no more issue, and very durable overall. But I have choose other phone over this. 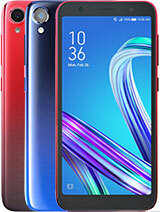 I choose Acer Liquid S2, just because it's price dropped very close to Padfone S (lower than N5, lower than Oneplus One, lower than Xiao Mi Mi4). That phone has almost similar characteristic with Padfone S.(not a popular phone, casing very hard to find, so called yellowish screen, non-removable battery, plasticky and rubber built, not as premium as high end phone, but with high end spec). miki, 08 Dec 2014JLM thank you, mmm it is too late.... I already bought samsung grand prime. unfortunately not ... moreOK. Hope they change a new one for u. Happy holidays!! 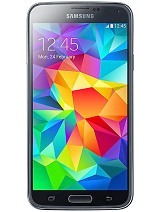 adam, 08 Dec 2014ok thanks for the quick review of this phone :).but althought this phone is already official..... moreJLM thank you, mmm it is too late.... I already bought samsung grand prime. unfortunately not ong enough as the samsung already hang n I sent back to the shop that I bought the grand prime. I use it only for 3 hrs then the software problem set in haiyooo. adam, 08 Dec 2014So the worst part of the pf s is just the back speaker then ? Hmm i maybe ill just gonna wait ... moreHi Adam, I terminated FB some time bk, so m now 1 of few who dont have FB. Haha. U can still post here, n I will try to reply. I have registered with GsmArena, so that reply will be immediate. 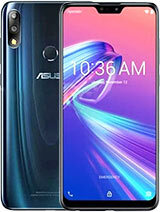 1)Someone did comment earlier, that expected Asus to having quality issues for new phones. So waiting may be a gd idea, though not sure till when. 2) Overall, I think PF not bad. For 2-yr, $41/month, plus $70 voucher, I got it in Singapore for $28 only, so I think its worth any risk. 3) For Padfone(PF) speaker, if the hardware is sub-standard, software may not help, but let's keep our fingers crossed. That said, it is definitely ok for normal usage, speaker voice call. For music, can always use earpiece or bluetooth. When u need music on speaker, just face the back up n hope. Haha. 4)PF is marketed to be slotted into Tablet. Somewhere in manual or specs did mention not to put casing, as may affect. Maybe thats why not much companies interested. But the availability is still better than Nexus5(N5). At TaoBao/HaiGou, I found back-case, full covers with/without windows, film/glass screen protectors. 5)Screen brightness is noticeably lower than N5, but i must say that video/pics/reading is clear or very clear, somehow very soft/comfortable to the eye, may due to high PPI. 6)Camera, didnt really try. It offers multi/fast shot up to 100. Focusing quite fast. Not sure wat else to look out for. 7)LED notification is on top-right, but very small n dim. So far, i have seen it light up while charging, when 100%(nothing less), when have SMS. Have not check if can change colour or settings. 8)Dont seem to have radio, but forgot to chk this one. 9)Battery. Whole night seem to drop abt 10%. For my mum's basic use for calls, it seems to last 1day, next morning which is abt 24hours, still have 55%. Charing with the original plug n cable seems slow, abt 1% every 2min. Wireless charging for N5 is slower than cable. Wireless charger stated that efficiency is abt 70-80%. So wireless is even slower. As my mum is using the PF, I cannot try it out immediately or everyday. 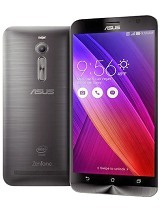 miki, 07 Dec 2014Hi JLM, thanks for your review, so what do u think is it worth buying Asus padfone S or not. A... moreHi Kimi, I posted the reply meant for u, wrongly to Adam. So u will need to chk it out. Sorry. adam, 07 Dec 2014really ? the speaker is good ? 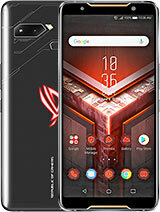 awesome .. i also gonna buy this phone soon .. but i hope the p... moreI posted a reply to Kimi a while ago, sort of small review, also mentioned that the speakers avg. I m lazy to type again, so maybe u can refer to it. adam, 07 Dec 2014really ? the speaker is good ? 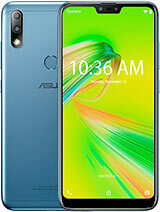 awesome .. i also gonna buy this phone soon .. but i hope the p... morePadfone S (PF)is for my mum. I only do initial set-up n maintenance. I use Nexus5(N5). I prefer N5. I m not pro or expert, just personal opinion. 1)N5 speaker is alrdy average, but PF is slightly worse. Ref: N5 6/10. PF 5/10. PF speaker like having excess echo, don't get the enjoyment as much as N5.For PF alert n notification, its OK. Sound is loud enough. But speaker is at back, so muffled. When receiving call, very clear. The other end hears u well. Vibration motor ok, but almost same as N5. 2)PF Max brightness is only abt 80% of N5. But N5 80% to Max, is only a bit difference. I need abt 40% N5 to see under sun. Pt to note, is PF screen is very comfortable to eye, even when reading mode is not on. Reading mode makes white turn a bit yellow. Watching YouTube is pleasant. When not under sun, in order to home screen to look nice, need abt 80% PF. 3) The 150grams PF feels well-balanced. 4) Built feels solid, but back cover creaks a little, but nothing too bothering. 5) PF UI makes some setting troublesome to configure, can't find or hard to find. Overall, I think its good buy if not too expensive. I prefer N5 maybe coz alrdy accustomed to it. N5 is also lighter at 130g. N5 has very limited casings. I bought PF Full-cover casing with window n Glass screen protector from TaoBao/DaiGou, have not arrive. In Singapore, Qoo10 or store, cannot find PF casings. aadam, 07 Dec 2014do u remember what the latest updates is ? No, I did not take note. AnonD-335417, 07 Dec 2014i buy from directd yow...we're malaysianreally ? nice . but is the cases and the screen protector is available too ? 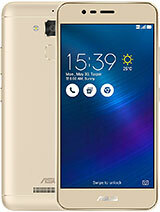 Can anyone give comments about the disadvantage of this phone? As I choose a phone based on the acceptibility of the phone's disadvantages. can use padfone s with infinity docking station?? JLM, 07 Dec 2014I just bought my Padfone S, also updated, then Play Store Authenticatiom failed. U can chk out... moredo u remember what the latest updates is ?